Coined in the 1960s, the term Acoustic Ecology refers to a specific domain of research centred around the sound-based relationship between a living creature (such as a user) and the environment that surrounds them. As such it seeks to understand why the sounds produced in a given environment are produced, what effect those sounds have on the individual receiving them, and finally how to duplicate those sounds such as the environment sounds perfectly natural. Whilst all three goals are heavily interlinked, it is that last one that is particularly of interest to us here. The ability to recreate the sounds of a given environment so convincingly that you are audibly totally immersed in the environment has obvious applications in any virtual environment. This book offers an exploration of games as systems in which young people participate as gamers, producers, and learners. In the many studies of games and young people's use of them, little has been written about an overall "ecology" of gaming, game design and play - mapping the ways that all the various elements, from coding to social practices to aesthetics, coexist in the game world. This video is basically a tour of some of the many ecological projects taking place within the virtual environment platform known as Second Life. Along the way, it serves as an excellent overview of Second Life, and indeed social virtual worlds in general, for those who have never experienced one. It is also good for those who adamantly refuse to ever try such. 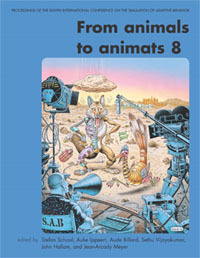 Animals to Animats is a conference. 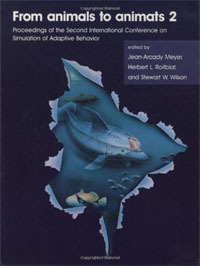 It is held every two years, at various locations around the world, and brings together researchers from ethology, psychology, ecology, artificial intelligence, artificial life, robotics, engineering, and many other related fields, seeking to bind the disciplines together, and take animal cognition from the natural world, recreating it in alife. Animals to Animats is a conference. Its held every two years, at various locations around the world. It brings together researchers from ethology, psychology, ecology, artificial intelligence, artificial life, robotics, engineering, and many other related fields, seeking to bind the disciplines together. Each tome contains the proceedings of one such conference. 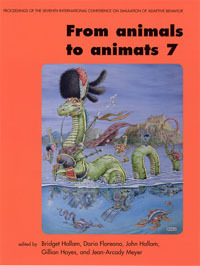 Animals to Animats is a conference. Its held every two years, at various locations around the world. It brings together researchers from ethology, psychology, ecology, artificial intelligence, artificial life, robotics, engineering, and many other related fields, seeking to bind the disciplines together. This book is the full proceedings from the 2008 conference. Animals to Animats is a conference. Its held every two years, at various locations around the world. It brings together researchers from ethology, psychology, ecology, artificial intelligence, artificial life, robotics, engineering, and many other related fields, seeking to bind the disciplines together. 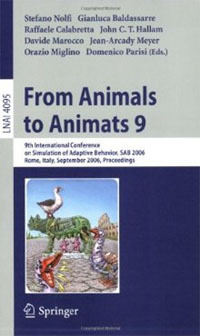 This book holds the full proceedings of the 2006 conference. 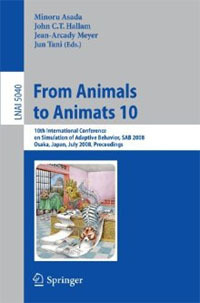 Animals to Animats is a conference. Its held every two years, at various locations around the world. It brings together researchers from ethology, psychology, ecology, artificial intelligence, artificial life, robotics, engineering, and many other related fields, seeking to bind the disciplines together. This tome holds the full proceedings of the 2004 version of that conference. Animals to Animats is a conference. It is held every two years, at various locations around the world. It brings together researchers from ethology, psychology, ecology, artificial intelligence, artificial life, robotics, engineering, and many other related fields, seeking to bind the disciplines together. 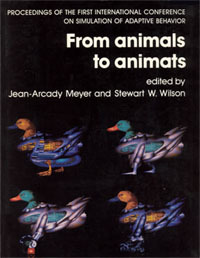 This book is the full collection of papers from the first conference, held in 1990. Caltech researchers have built a nonlinear acoustic lens that produces highly focused, high-amplitude acoustic "sound bullets" that could be used for more powerful medical ultrasound imaging and for hyperthermia procedures.